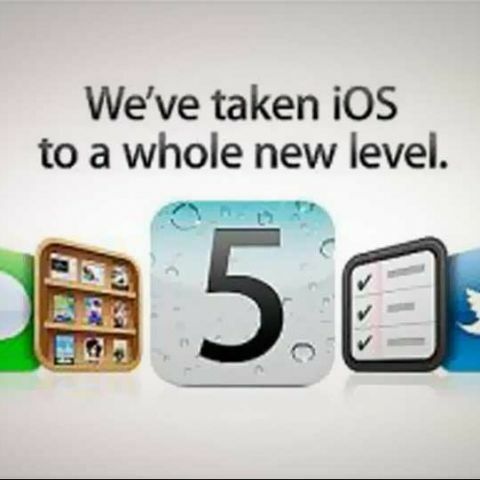 Apple has finally launched its much-awaited iOS 5 operating system for its iOS devices such as iPhone, iPad and iPod Touch. However, the excitement for the new operating system dimmed quickly after several users complained about encountering problems while installing the update. According to reports, Apple's servers struggled to cope with the overwhelming number of iOS users seeking the new update, even prompting some to receive an “Error 3200” message. It's notable that Apple had launched iTunes 10.5 a day before the iOS 5's launch, probably to ward off massive pressure on its servers. Meanwhile, Apple says the issue stemmed from the overwhelming number of attempts from users trying to install the new update. Apple's user forum, social networking sites such as Facebook and Twitter are flooded with reports of problems faced by the users. Many users reported about the failed attempts, while others reported about deleted/lost applications. Some iPhone users also complained about bricked phones. Back in 2008, the iPhone users had to face similar problem when Apple launched the iPhone 3G on the same day it made iOS 2.0 available for the iPhone. The massive number of users attempting to register their devices and install the new software caused a lot of problems to the users and Apple. Earlier, Apple launched its latest iOS 5 operating system, which comes with a number of improvements over its previous versions. The new iOS 5 device features an enhanced notification center, BlackBerry messenger-like service and integrated iCloud service. It also lets users integrate their Twitter accounts with iOS 5, allowing them to natively share pictures, tweets without requiring to log in through another app. Another notable feature of the iOS 5 is the option to allow users to activate their iOS devices without plugging into a computer.